Today, OpenLMIS announces the release of OpenLMIS version 3, an open source logistics management information system (LMIS). The OpenLMIS Community, representing a global consortium of partners including software developers, implementers and donors, collaborated on a full redesign of the OpenLMIS core software, reflecting a more flexible and responsive micro-service architecture. OpenLMIS provides an electronic solution for recording and reporting logistics information for health supply chains, including requisitions, stock management and fulfillment, and improved reporting systems. 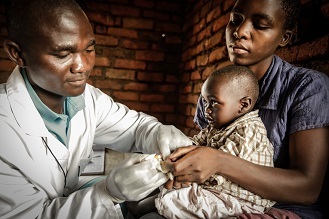 OpenLMIS increases data visibility in supply chains, helping supply chain managers to see and respond to commodity needs, particularly in health facilities, where lack of data significantly impacts the availability of key medicines and vaccines. As an open source product, users can contribute future improvements back to the core, increasing the return on funders’ investments and encouraging collaboration between countries. OpenLMIS version 3 provides better support for customization and extensions than previous versions through its new service-based, API-driven, modular architecture. The end result is a powerful, flexible product that emphasizes interoperability, extensibility, and performance at scale across countries, programs and products. Non-profit VillageReach and software developer SolDevelo led the software development for version 3.0. As a founding member of the OpenLMIS Community, VillageReach software development teams will continue to lead the ongoing development of OpenLMIS version 3 in partnership with the OpenLMIS Community. The OpenLMIS Initiative is supported by many health, implementation, and technology partners whose contributions have played a significant role in the evolution of the OpenLMIS product and community. The OpenLMIS initiative began in 2011, with the first software release in 2012. Early contributions to OpenLMIS by PATH, USAID, Rockefeller Foundation, the Bill & Melinda Gates Foundation, the UN Commission on Life-Saving Commodities, JSI, ThoughtWorks, and others defined the original code base for deployments in Tanzania and Zambia in late 2013. Since then, OpenLMIS has been deployed in Côte D’Ivoire, Mozambique and Benin with an additional implementation planned in Malawi for 2017. The OpenLMIS initiative incorporates a community-focused approach to develop open source and customizable LMIS systems specifically designed for low-resource settings. The initiative provides an environment where software modules and datasets from newly-developed code and existing systems are made available in a public repository. OpenLMIS is currently deployed in Benin, Côte d’Ivoire, Mozambique, Tanzania, Zambia, and Zanzibar, with a planned implementation in Malawi.